Cargoconnect are your local expert freight forwarders in Perth. Our team of experienced logistics consultants strive to provide the highest possible levels of service excellence, built over a combined 30 years of experience in the logistics industry. At Cargoconnect, we work in conjunction with a broad scope of local and international freight providers to ensure our Perth clients receive the fastest possible transit times, at competitive rates. With a global reach in over 80 countries, Cargoconnect have the capabilities to send anything, anywhere in the world. Whether you simply need to send a consignment to the East Coast of Australia, or to the furthest corners of the globe, Cargoconnect can assist. 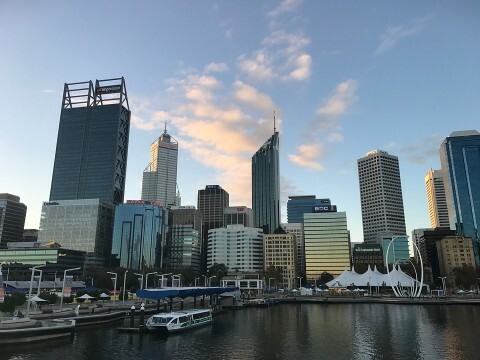 As one of the leading freight forwarders in Perth, we offer a full suite of logistics services including, road, sea and air freight, plus warehousing, pack / unpack, break bulk and more. We’re truly an end to end logistics provider, dedicated to ensuring your supply chain runs as efficiently and cost effectively as possible. Whether you’re a small importing business, or a large multinational enterprise, contact Cargoconnect today to discuss your freight requirements, and learn how we can add value to your business.